Getting in enough of the mineral magnesium every day is important. Magnesium is an essential mineral for overall health and hundreds of different reactions in the body. Mag is critical to muscle function, including the muscle in the center of your chest, the heart. Magnesium regulates blood pressure and helps to keep the heart beating normally. Are you getting in enough magnesium? Without enough magnesium in your diet everyday, your body cannot function properly. 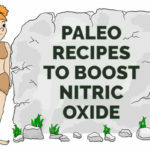 Below is a list of the top Paleo foods that are highest in this essential mineral! Check them out and try out some Paleo, magnesium-rich recipes! Magnesium is considered a macromineral, or a major mineral. This means that you need to consume magnesium in larger amounts (compared to a trace mineral) in your diet. Macrominerals, like magnesium, are those minerals that are required in quantities greater than 100 mg per day. Magnesium is a cofactor (or essential helper molecule) for over 300 reactions in the body!! What that means is that without enough magnesium, health rapidly deteriorates. Magnesium is such an important and abundant mineral in the body. The kidneys tightly regulate magnesium levels in order to preserve magnesium concentrations. The adult body has roughly 25 g of magnesium in it at a given time. The vast majority of magnesium in the body is found in bones. Assessing magnesium status can be difficult in typical lab tests, as most of it resides in cells and bones. 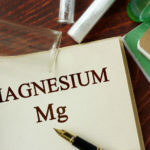 In fact, assessing serum levels of magnesium (as most conventional doctors do) tells us little about total body magnesium concentrations or the amounts found in tissues. This is one of the reason we do the most advanced nutrient testing in the world in our office. We look intracellularly to see what nutrients are actually getting into the cells. I cannot tell you how many times doctors failed to even check blood magnesium, let alone intracellular. This is just not good enough care in the 21st century. You deserve better. Magnesium is found in many plant and animal foods as well as supplements. 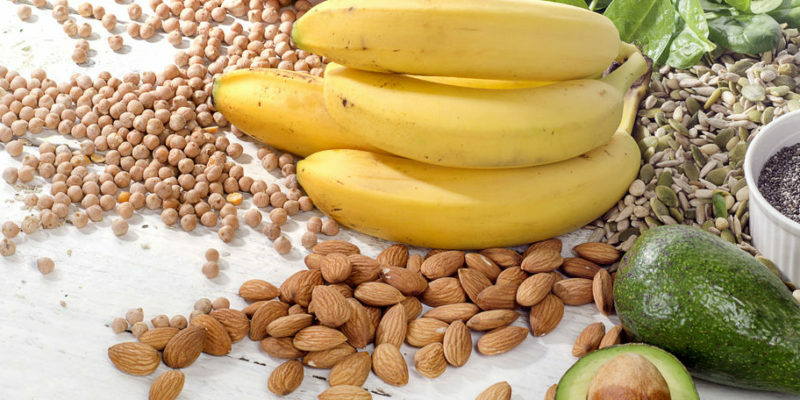 As a general rule of thumb, foods that are rich in fiber tend to also be rich in magnesium. Unfortunately, our soil is depleted and the magnesium content of food is not what it was 50 years ago. Constipation is often a magnesium deficiency. Many of our patients take magnesium at night and wake up to an excellent bowel movement. Moving your bowels daily is essential. Why is it good for the heart? The RDA says to get anywhere from 300-400 mg of magnesium per day for adults. For heart health and total body health, getting in even more magnesium (especially through Paleo food form), is key. Due to the Standard American Diet, poor digestion, stress, leaky gut and medications (among other reasons), many people are deficient in magnesium. Magnesium deficiencies may require supplementation. If you’re interesting in supplementing, check with your doctor to decide if magnesium supplementation for you. We recommend starting with our Magne 5, which contains the highest quality forms of magnesium. 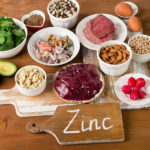 What are the 10 best foods that contain magnesium? 1. Almonds – 80 mg magnesium per one ounce servingAlmonds are one of the healthiest nuts for your heart! They make great snacks or protein-rich additions to any recipe. Additionally, they are one of the highest food sources in magnesium! Due to their high amount of magnesium, almonds are a great food to promote sleep and relaxation! 2. Spinach – 78 mg per ½ cup servingSpinach is rich in essential vitamins and minerals like magnesium. You could eat a whole cup of it and get 156 mg! That’s a lot for one leafy green. Swiss chard is comparable in its magnesium amounts and would be a great magnesium-rich substitute. 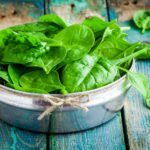 In general, leafy greens, like spinach or Swiss chard, are important to the health of your heart. 3. Artichokes – 77 mg in one artichoke per servingArtichokes are a great magnesium-rich vegetable. They make a tasty side dish or are good to make as a creamy soup base. Artichokes are also very heart-healthy as they are one of the best food sources that raise HDL levels, which protects the heart. 4. Pumpkin seeds – 74 mg per 1 ounce servingPumpkin seeds are one of the most nutritious seeds for you. They are rich in magnesium. They also contain vitamin E, a major antioxidant, and other trace minerals like phosphorous and manganese. Throw them in your salad or soups or sprinkle on side dishes! 5. Cashews – 74 mg per 1 ounce servingCashews are another great, cardioprotective nut option. They are also very high in magnesium, which ups their heart- protective status. Eat them post-workout for some quick protein and muscle-relaxing magnesium. Try snacking on them during your workday or making some homemade nut butter for a delicious treat. 6. Salmon – 52 mg per 6 ounce servingWild-caught salmon is one of the best ways to get in your omega 3 fatty acids, the essential fats needed for heart and brain health. Yet, another heart-healthy benefit to them is their high level of magnesium. The magnesium levels in this fish, along with mackerel, help to give them their cardioprotective blood pressure and cholesterol effects. Salmon is super heart healthy. 7. Avocado – 44 mg per 1 cup servingAvocados are one of the best super foods for your heart. They are rich in healthy monounsaturated fats along with key the cardiovascular minerals, magnesium and potassium. Your heart needs a balance of both of these essential minerals, and avocados are one of the best, well-rounded sources of them! This squash variety is rich in magnesium, potassium and antioxidants, which helps the heart to function better. It also contains essential B vitamins like B1, B2, and B5, which further support heart health. Try slicing some up and throwing them into your next side dish! Yams have a good amount of magnesium in them! They are also rich in vitamin A, an essential vitamin for immunity and inflammatory regulation. Yams are also high in vitamin C, a protective antioxidant for cells. 10. Bananas – 32 mg per 1 medium sized bananaBananas have a good ratio of magnesium and potassium minerals for the heart. They also contain B vitamins, vitamin C, maganese and fiber. If the bananas aren’t fully ripe then they contain resistant starch that acts like prebiotics to fuel gut health, which is especially important for leaky gut syndrome. Bananas are great for making a healthier version of the occasional sweet treat! Getting enough of the essential mineral magnesium into your diet each day is important to health. Magnesium is required for cell function, muscle and bone health, mood, immunity and it also regulates blood pressure and heart rhythms. Try out our list of Paleo-approved, magnesium-rich foods with recipes. These recipes are aimed at helping you get enough magnesium into your day!